﻿ Geared Up for a Cause! Heath DPS Officers are gearing up for a cause in an effort to raise support for Carry the Load 2015. 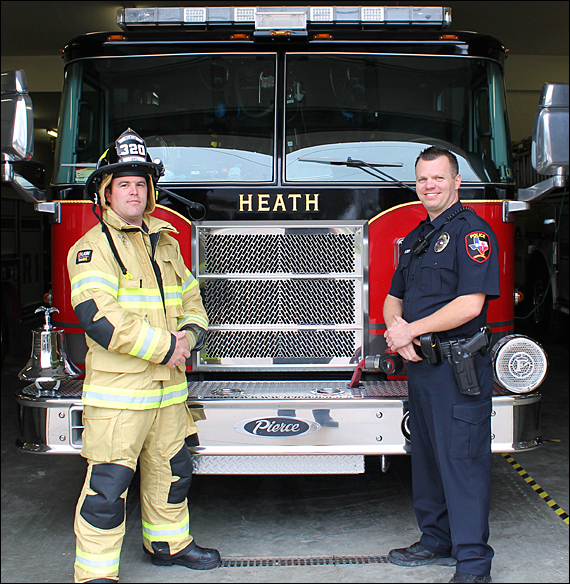 Officers Brandon Seery and Zach Wilfong have each agreed to run in the City of Heaths annual Heart of Heath 5K Run on April 4 in FULL GEAR! Officer Seery will be representing Law Enforcement by wearing his Police uniform, while Officer Wilfong will represent the Fire Service by wearing firefighting gear. There is just one catch…. 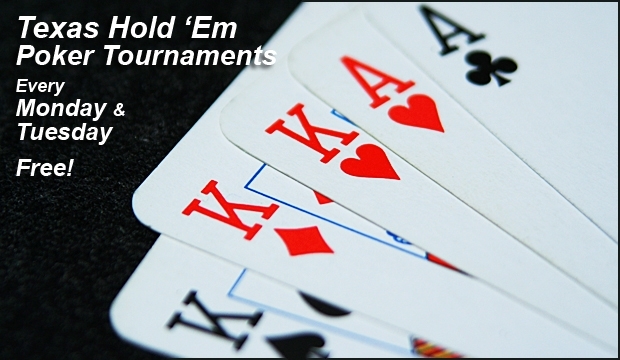 They need your support to raise a combined 5K in donations! 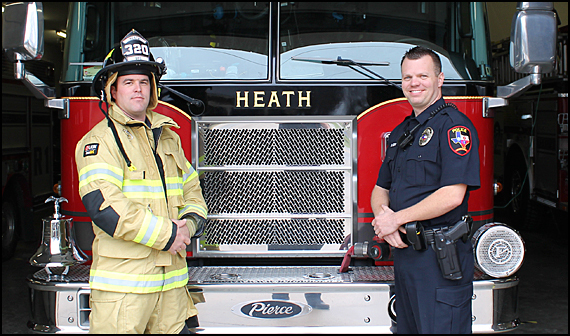 You can register yourself and your family to participate in the Heart of Heath 5k with Officers Seery and Wilfong at www.heathtx.com.